Amazing views right outside our door. Great location as well. The staff were amazing; very helpful and attentive. Room also had a small kitchenette which was a plus during our 6 night stay. Amazing staff, the most attentive and caring staff we’ve ever met so far !! 1 minute walk to the convenience store and they have a very nice swimming pool. The place was clean and modern. The location was close to the main strip and a market was right next door. The view from outside our room was amazing. Valentine was probably the most helpful concierge I've ever met. We stayed at a few places during our trip and the customer attention at Strogili was far above & beyond that of any other place. Everything! 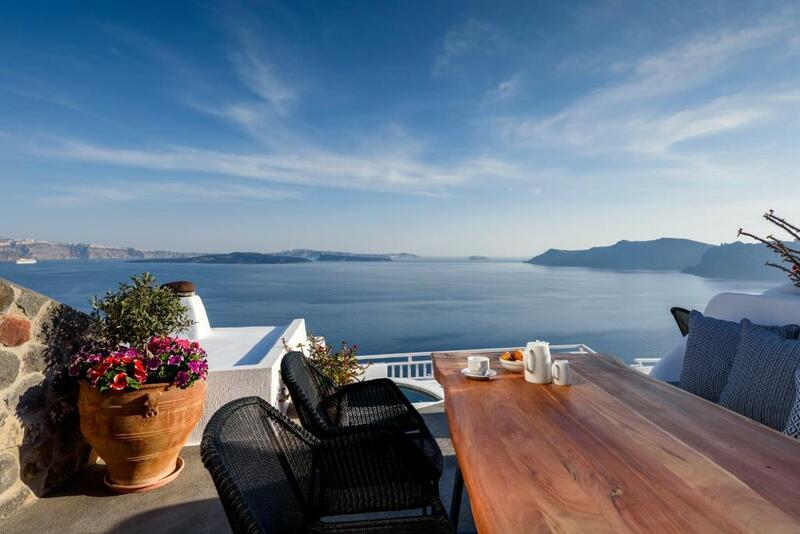 The view, the decor, the facilities, the breakfast, the location in Oia, and the staff. The view was amazing. The wifi was too fast. The room is too clean. Balcony & view of caldera were magnificent. Unit had plenty of room with 2BR, efficiency kitchen & sitting room. Nicely appointed. Not too many steps. Pool area with dining was a pleasant surprise. 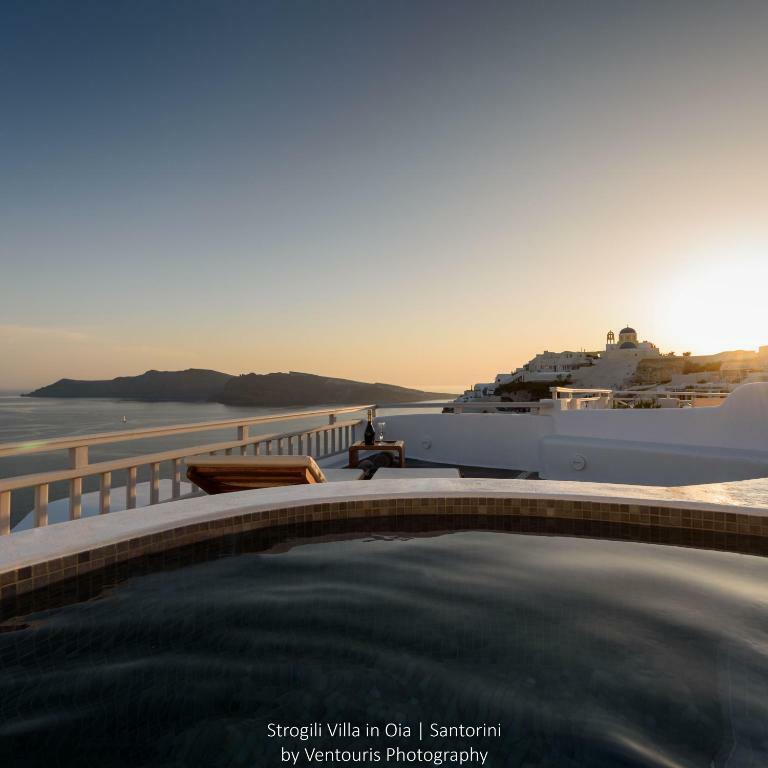 Lock in a great price for Strogili – rated 9 by recent guests! 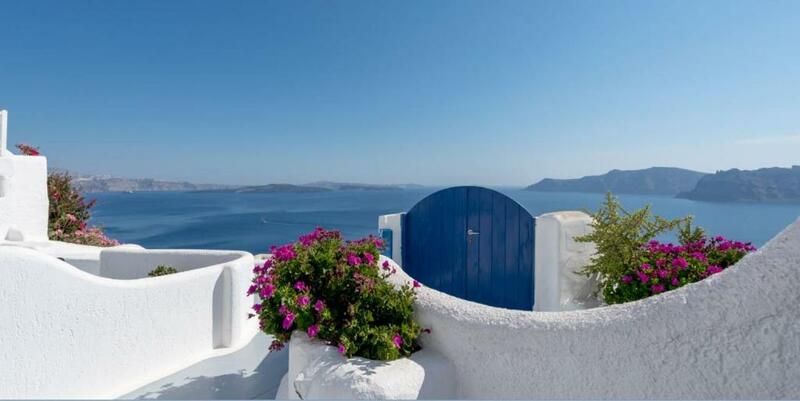 Enjoying spectacular views over the volcano and the Aegean Sea, Strogili offers traditional accommodations with charming furnished verandas, in Oia village. 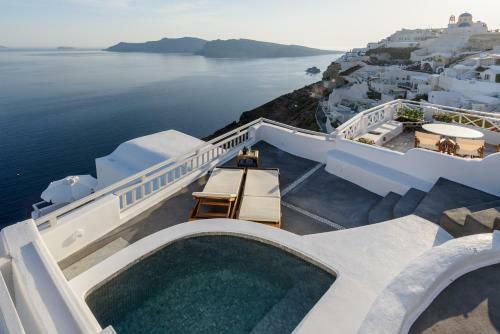 It includes a swimming pool with sun terrace and serves continental breakfast. The beach of Baxedes can be reached within 1.2 mi. Santorini Airport is 11 mi away, while Athinios Port is at 12 mi. 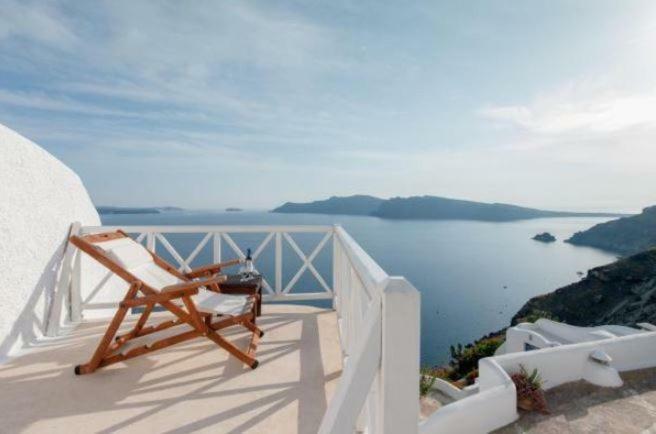 The lively town of Fira is at 7.5 mi. 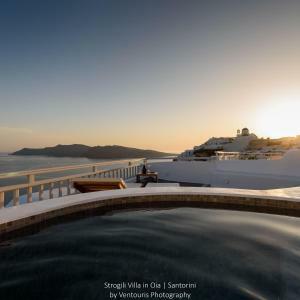 Strogili guest house offers free Wi-Fi throughout and free private parking. 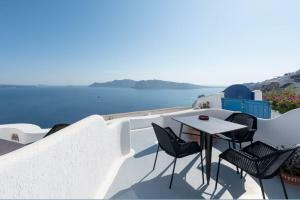 뀐 Located in the top-rated area in Oia, this property has an excellent location score of 9.4! Kindly note that the bedroom is on the upper floor. Please note that this room is 230 ft far from the main building and is accessible only by stairs. House Rules Strogili takes special requests – add in the next step! Children 7 and older are allowed at this condo hotel. Please inform Strogili of your expected arrival time in advance. You can use the Special Requests box when booking, or contact the property directly using the contact details in your confirmation. Our room was near the reception area and had beautiful views as well. But based on the pictures on booking.com, I thought we would be getting a different room with the deck as shown on the picture (more private and closer to the edge). Nothing wrong with our room but the image on booking.com showed a different type. Booking.com should be accurate with image of the exact type of room you pay for. Loved this hotel and the service. Location was perfect and right by the bus stop. Easy walk to everything in Oia. Valentino assisted the first day and he was amazing. He sat down with us and showed us places of interest on the map and gave us a better idea on what to do. He even recommended great restaurants and made the reservation for our dinner that night. Maria assisted us the rest of our stay and she was also lovely and informative. Loved the generous breakfast we had on our deck and the room was very spacious and clean! Amazing views from our deck. We saw photos online of a room with a sofa and table, a large bathroom and a separate little bed area. In the description it included a sitting area with sofa which we were excited about to read our books, play cards and enjoy the view. However, when we arrived we were given an extremely small room with no sofa, a tiny bathroom that would be soaked after a shower because there was no shower curtain. When we inquired to staff they insisted multiple times quite rudely that this was the same as the room we booked. We even showed photos and said the description of the room did not match the room. The next day (we had booked 3 nights) we inquired multiple times again about either changing rooms or getting a refund (we had decided to splurge on this place and were very disappointed). After literally arguing with staff they switched rooms for us, but they were not happy with us. We were disappointed at their lack of professionalism. And finally, the showers were cold!! You could turn on the boiler 30 minutes before our showers, but even that hot water didn't last long. The views were beautiful! The location was pretty good, a bit far from Oia centre, but right on the walk to Thera. Once we got moved to the room we thought we booked it was good. Power trips that happened two nights in a row and the breakfast are not served in the room as per the information in the booking. The friendly and helpful staff who gives very good recommendation of things to do in Oia. 5-star treatment from Ms Maria.